Comic book superheroines bend steel, travel across time and space, and wield the awesome forces of nature. These mighty females do everything that male superheroes do. But they have to work their wonders in skirts and high heels. The Supergirls, a cultural history of comic book heroines, asks whether their world of fantasy is that different from our own. Are the stories of Wonder Woman’s search for an identity, Batwoman and Power Girl’s battle for equality, and Manhunter’s juggling of a crime fighting career and motherhood also an alternative saga of modern American women? Respectful, informative, but often repeating information. Take that into consideration, but all-in-all a great read for a comic book fan. Good story of a side of comic history I had not considered before. When I started reading comics I mostly read male superheroes as most of the female characters just did not seem interesting. Only in the past few years I have started reading comics again and Madrid's book really shows the sexism that drives these stories. Would you listen to The Supergirls again? Why? If you could sum up The Supergirls in three words, what would they be? 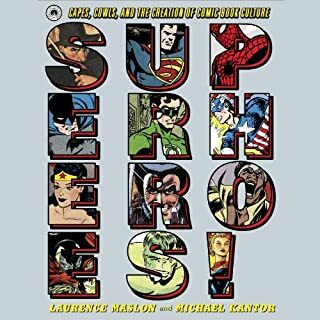 I don't know about laugh or cry, but as one who has always admired the supergirls who often take a backseat to their male counterparts, I couldn't help but be impressed by this book. Mike Madrid has a passion for these heroines. This book is written with all the passion of a fanboy and all the class of someone who respects the audience as much as he respects the material. 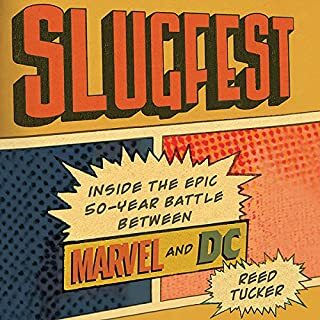 There's so much lost history here, this book is a must for anyone who claims to be a comic book fan. First thing's first, this book was well read but at a pace that was to fast. I had to back 30 seconds many time to understand what I was hearing. Finally, while this book was well researched and written, I disliked the (seemingly standarized) 'Beautiful Women are Empowered Vicitms and Men Are Pigs message that is brought up in every chapter of this book. 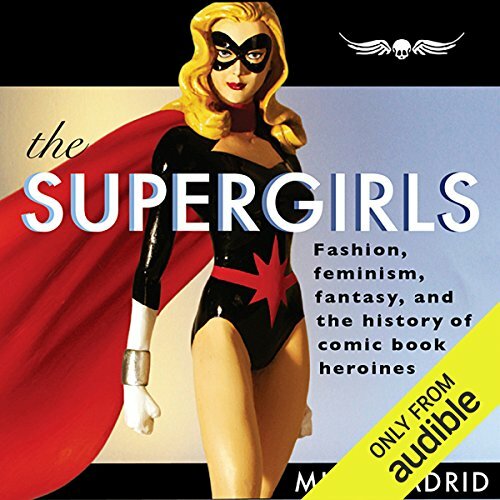 Where does The Supergirls rank among all the audiobooks you’ve listened to so far? I would rank it in the middle. It kept me engaged through out the book and I did learn a bit from it. However, there is a certain lack of love in the writing that prevents the book from being truly great. The author for the most part keeps themselves at arm length give a sort sort of cold stating of fact. 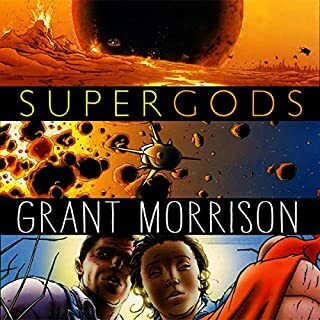 When the authors voice does bleed through, like the chapters on the 90's, it's a voice of angry disapproval instead of that of a comic fan geeking out. Would you be willing to try another book from Mike Madrid? Why or why not? I am not sure. It was not a bad book but it lacked the heart that would make me want to rush out and get another book from the author. Absolutely not. There was no real love to the book. Informative but cold for the most part. For most of this book Mike give an interesting history of comic book heroines and how they were shaped by the culture at large. There is a slight scolding tone the writing as if the author is waggling his finger at editors of the past for not giving the females their fair due but it doesn't really rise to a level that distracts from the book... Until the 90s. Mike Madrid HATES 90s. He loath the sexualized images for super-heroines from. He detests editors, artists and comic readers from this period and he makes no qualms about saying so. 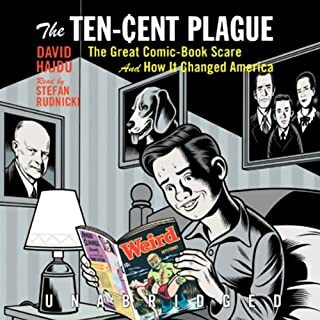 The book basically becomes unlistenable at this point as the author's rage colors everything from this decade and his mission changes from education to proving that everyone involved in comics from this period was wrong. Still it's a 95% useful book. Just skip the last chapter. 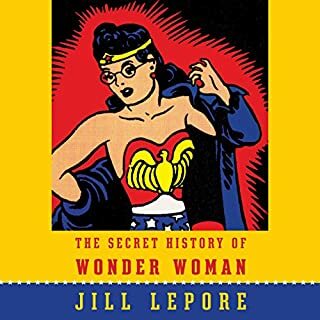 Although a bit heavy handed at times, this is a marvelous overview of the history of female super-heroes. Particularly notable is how historically that writers tend to present them to their largely heterosexual male audiences as virginal “nice girls” or overly sexualized fantasy girls (and at times both simultaneously). I enjoyed the approach of the evolution of the various super-heroines over the decades. Well done! Are you a fan of comics and its history, this is a book for you. I think Mike Madrid in a clear and exciting way brings out facts, not all geeks know. I downloaded this book on a whim after browsing through a lot of titles as I thought the name and summary sounded interesting and unlike anything else I had read before. Turns out I was right about that. 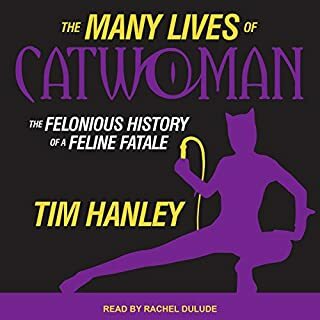 This book gives a very thorough history of women in comic books, covering a wide range of decades, aspects and themes. I am by no means an expert in comics, I haven't even read a great deal of them, but this inspired me to read more widely after finishing it. The only suggestion I have is maybe include more on female villains, as I'm sure they have had an equally interesting progression in comics. Well worth listening to overall.